Lots of info on local crimes. Some gossip and nothing more and some fun. Click on it for some great tidbits. This is happening as of this writing and the online rhetoric is that the NAACP is prepared to lead a protest if this verdict does not go their way. Seems that one Thomas Webster has been on trial for an assault of a prisoner held in custody of the Dover police. It’s a story as old as the hills this day. So it seems that Webster had a black man in custody and said black man ended up with serious head injuries as a result of Webster’s kicking him. The jury did not immediately agree on a verdict in the assault trial of a white Dover police officer charged after a police dashcam video captured him kicking a black man in the head and knocking him out cold during a 2013 arrest. The 12 member jury deliberated for about four hours before being sent home for the weekend at 4:30 p.m. on Friday. Cpl. Thomas Webster IV was on trial all week for a felony second-degree assault charge, which carries a maximum sentence of up to eight years in prison if he is found guilty. FTA, Webster expresses regret at the damage caused by his actions, actions done to calm the prisoner. Webster said he wanted to kick the guy in the torso but the prisoner was moving and thrashing about so much he accidentally kicked him in the head. I have not heard anything on a verdict yet but one is expected soon. If you live near or in Dover, be prepared for protests. I remove tongue-in-cheek from my header above. Vaccines are for sure serious things , even more so the diseases they should prevent. 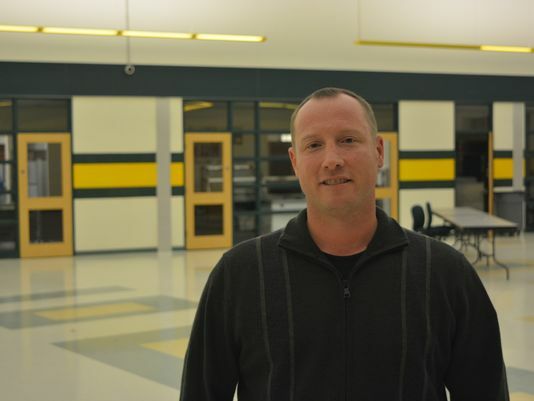 But I’ve been hearing over the years that there’s questions about vaccines and I stumbled upon this story about a local health teacher who also has concerns about vaccines. Paris Mitchell spoke at an Indian River school district Board of Education meeting against giving the flu vaccine in schools and I ponder as well if this is a good idea. What’s even more intriguing is the shroud of secrecy around this guy as he is allegedly being investigated for what he teaches in his class. May Jesus take this precious child into His arms and give her the peace and love she never had on earth. On December 1, 2015, the Wicomico County Sheriff’s Office responded to Little Water Street, Sharptown, MD in reference to an unresponsive sixteen-month old. The child was transported to Peninsula Regional Medical Center. The Sheriff’s Office referred the case to the Wicomico County Child Advocacy Center for further investigation. Darren Lee Adkins, 25, was subsequently placed under arrest for First and Second Degree Child Abuse and related charges. Adkins was a household member of the child but not a biological relative. The child was transported to Children’s National Medical Center in Washington, D.C. She was pronounced dead on December 4, 2015. Detectives from the Child Advocacy Center are continuing to investigate the matter. Adkins is currently being held without bond. Dear Lord, this was the Mom’s boyfriend. Mothers, for God’s sake….watch who you bring around your children! A preliminary court hearing is scheduled for Dec. 28. 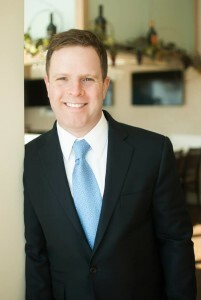 Sean Barney third Democrat to run for Delaware’s only house seat. Along with Bryan Townsend and someone called Lisa Blunt Rochester and Rep. Byron Short of Highland Woods, we now have four Democrats running for the position of Representative, only one from Delaware for its smallness. As I am to understand, the Republicans have one candidate, former Dover Mayor Hans Reigle. Democrat Sean Barney will launch a campaign for Congress on Tuesday, joining three other Democrats already campaigning to replace Congressman John Carney, who is running for governor and is not seeking re-election after winning three terms to Washington. Barney, who ran for state treasurer last year and lost to Republican Ken Simpler, will focus his campaign heavily on his personal story as a Marine veteran with combat experience in Iraq. His campaign expects to have the backing of the politically active veterans group VoteVets, and Barney believes the group will help his campaign raise money from its supporters nationally. 1.When people say to you “Oh, what state is Delaware in?” and you have to break it to them that Delaware was the first state. 2.There is a Wawa on every street and Wawa is life. 3.You get excited when someone says they know someone from Delaware. 4.You had your senior week at Dewey beach. 5.When you go to another state and have to pay tax, you throw a fit. 6.You remember when the Christiana Mall had fountains. 8.You went to football games at Baynard Stadium. 9.You looked forward to PAL dances every month. I am especially proud of the Biden/Flacco connection to Delaware. Nice guy, real nice guy. Bunch of thugs. Give them time and they’ll sign up with ISIS. A Dover man wanted in the bust of a Kent County drug ring is also wanted for last month’s violent home invasion and slaying of a Milford man. Milford police say they’ve obtained an arrest warrant for Abdul T. White, 30, of Dover and Philadelphia, and want to speak to his girlfriend, Ashley S. Gonzalez, 25 of Harrington, in connection to last month’s slaying of John Harmon, 40, of Milford. 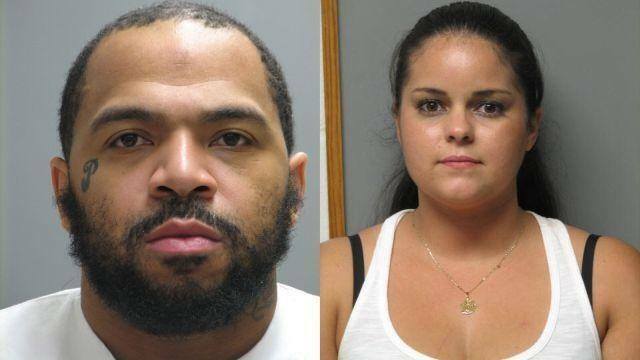 The two are also indicted on racketeering charges in the joint operation that saw 16 people hit with more than 100 charges in connection with an illegal drug trafficking organization in central and southern Kent County. Harmon, a father of eight, was shot in front of his children during an early Saturday morning home invasion in early August. One family member said three men broke into Harmon’s house and corralled Harmon and five of his kids who were staying with him at the time before pistol-whipping Harmon and shooting him. We hear rumors that there is a Republican perhaps running for Joan Deaver’s job. This is strictly gossip on yon Blogger’s part, do not tell editor I did no further research. Hint, the possible candidate is related to an already elected candidate. More as I, ahem, research further. NEXT : Sussex county council maybe, some national tidbits. Don’t even ask me about property lines. 2 Comments on "Political Gossip and Tidbits Wandering About The Small Wonder That is Delaware- The 12/8/15 Edition"
16) You know that Joe Biden isn’t a “nice guy.” As a matter of fact, you know he’s a jerk.